Project Life: Week 11 | I am JuJu! 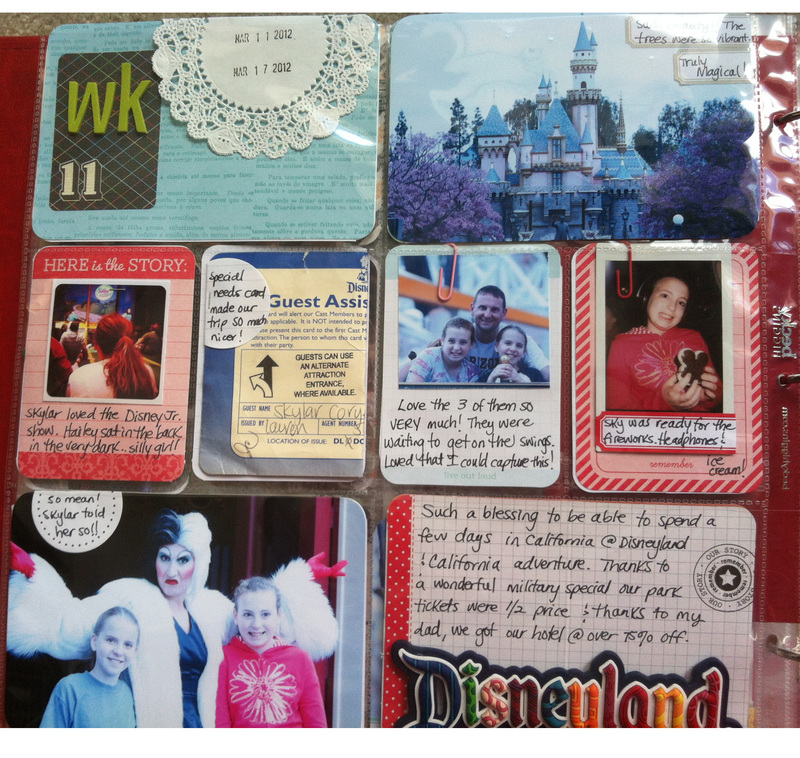 Today I’m sharing my project life pages for week 11. This week was totally different to put together because it pretty much focused on our trip to Disneyland. I must admit that this week was the 1st week I really struggled putting my pages together. I did not want to make the week more than 2 12×12 pages. I originally added an additional 12×12 protector & then took it out and changed it up. I ended up using 2 inserts, a baseball card protector and an 8.5×11 page protector. I’m really pleased with the way it turned out. I’m not going to share much about the pictures as I blogged about our trip. I’ll include the links at the end of the post. Below is a picture of the week including the inserts. Without the inserts. 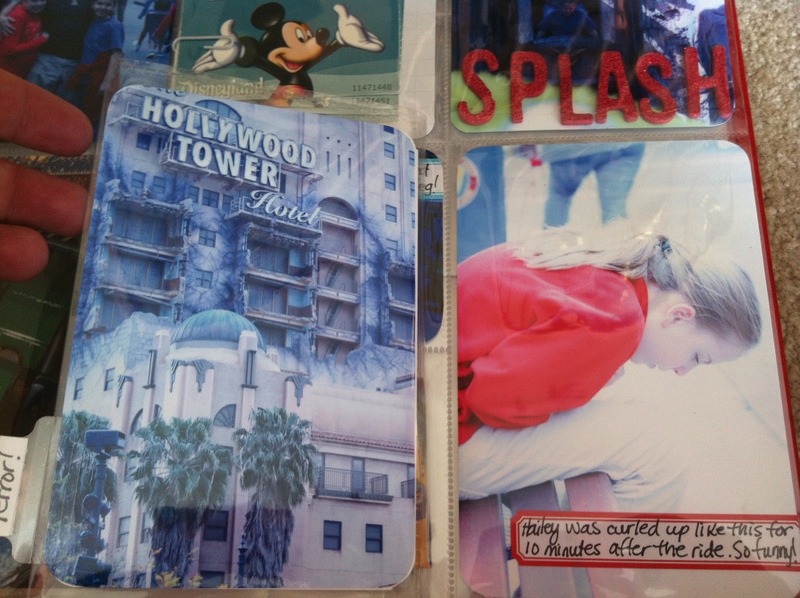 The left page is design A & the right page is design D.
I used a flip-up protector to share a sequence of photos of Chris and Hailey on the Hollywood Tower of Terror. Below are pictures of the front and back of the 8.5×11 page protector. Love this picture of Skylar on the swing that I took from below. I made a collage of photos for the back. I also included a baseball card page protector. 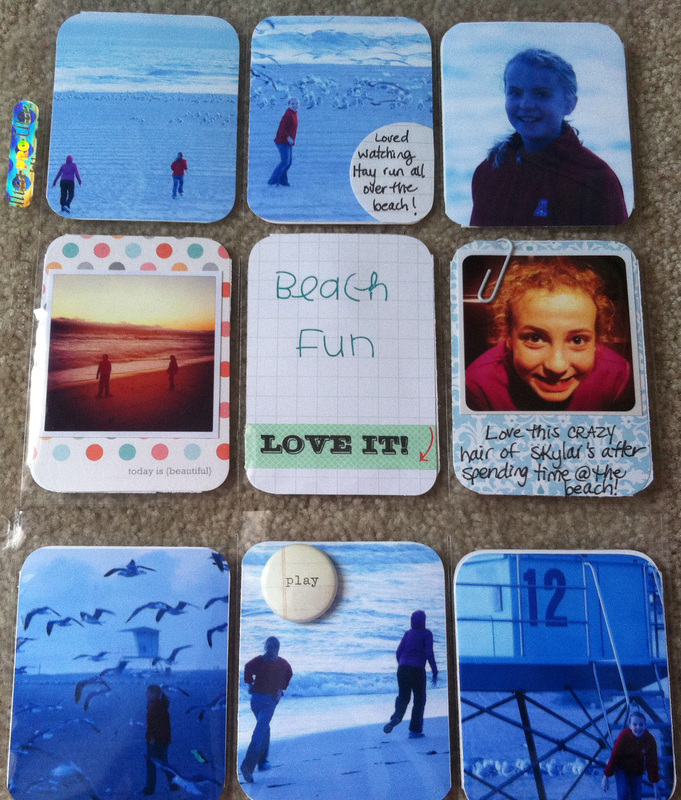 The front includes pictures from our trip to the beach. 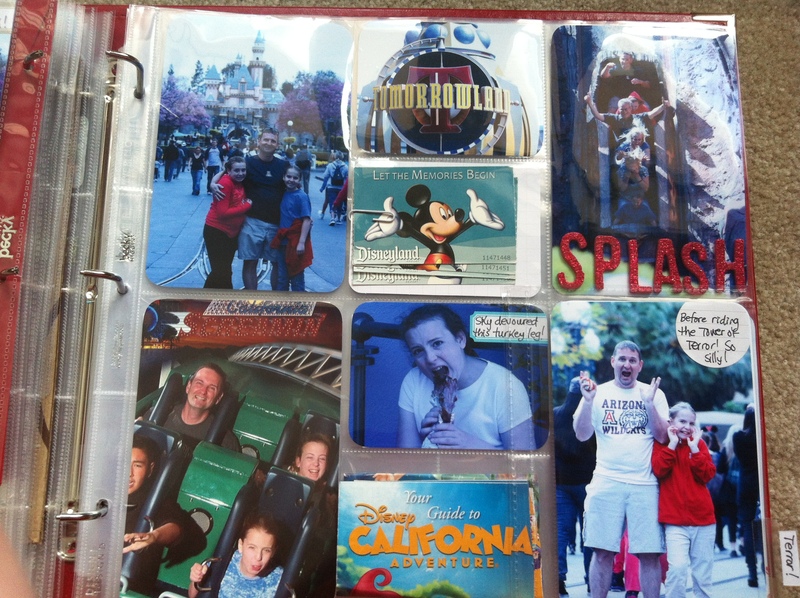 The back side of this includes random instagrams, pictures, & journaling about our trip. 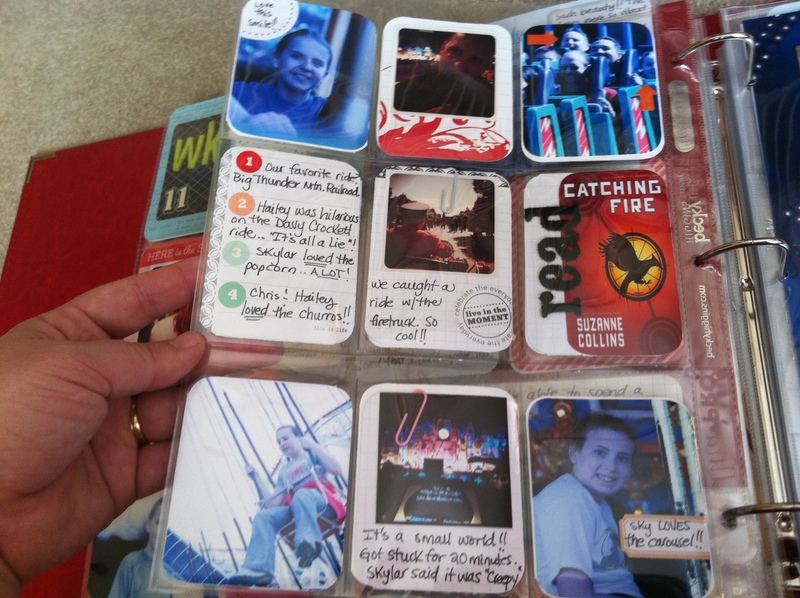 I’m linking up with The Mom Creative and One Happy Mama. Head over and see all the wonderful layouts people are creating! This entry was tagged project life week 11. Bookmark the permalink. Great week Jules, the picture you got of Skylar on the swing is fantastic. You should put some more pictures of your self in too – it is hard when you are the photographer. Thanks for sharing your lovely family holiday. Wow – looks like an amazing trip, and so many gorgeous photos to capture what must be fab memories. You’re right – that photo of Skylar from that unusual angle is eye-catchingly beautiful. This is just lovely. Your photos are great and it looks like you had a fabulous holiday. wonderful layouts! 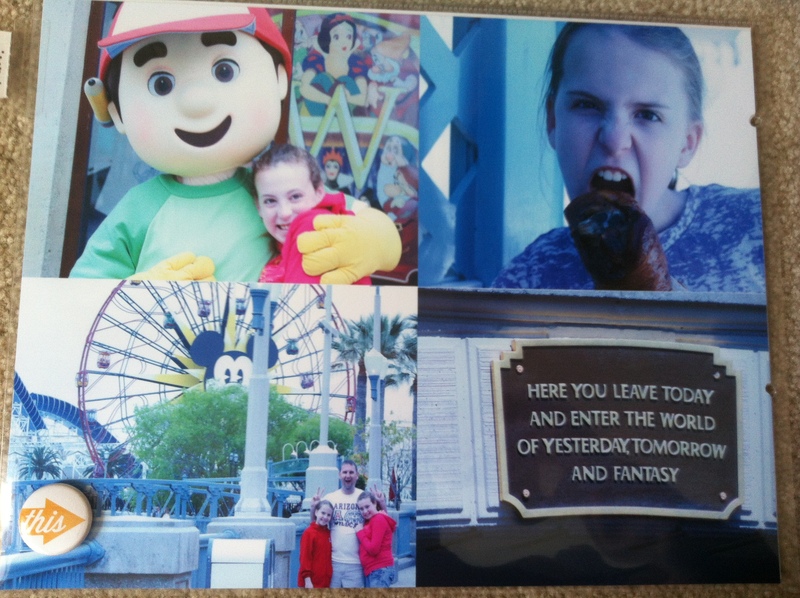 looks like such a fun time at Disney! Looks like a totally fun trip to Disney. 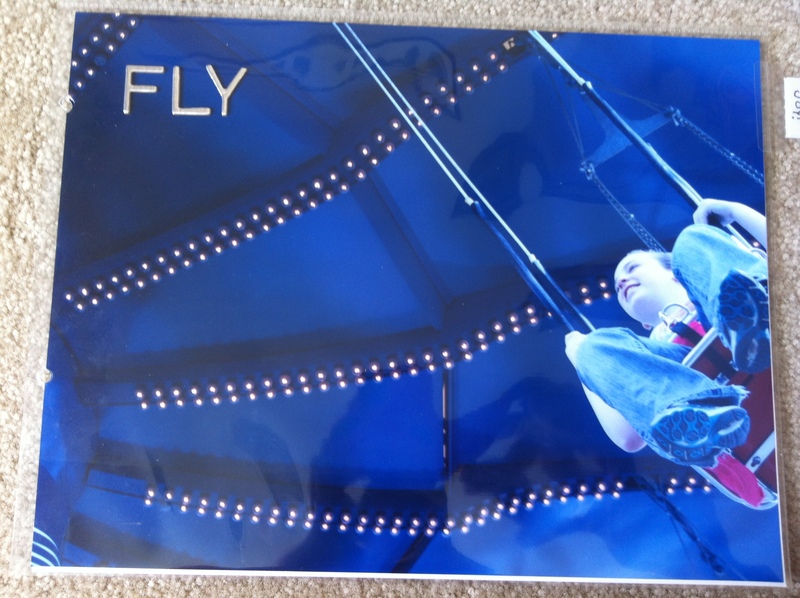 Love the use of doilies and that is an awesome shot of your son flying on the swing–great angle. Wow, how fun. I love disneyland. Were you there for the 24hour thing on leap day? I went a little nuts scrapping our trip last year and made two full albums. Looks like you are doing a great job so far. your pages radiate fun! looks like you had a wonderful time, I’ve never been there but I’m sure it is magical 🙂 the fly picture would look great blown up! How fun! Love your disneyland snapshots. How do you print your instagram pics?